DJ Khaled, Jodie Sweetin, Travis Barker and More Attend Rookie USA Fashion Show with Their Kids - Integration Through Media ....! These celebrity kids sure got style. A bevy of famous faces turned up Thursday at the Rookie USA Fashion Show, held at Milk Studios in Los Angeles, flanked by their adorable children — many of whom walked in the show. Among them? 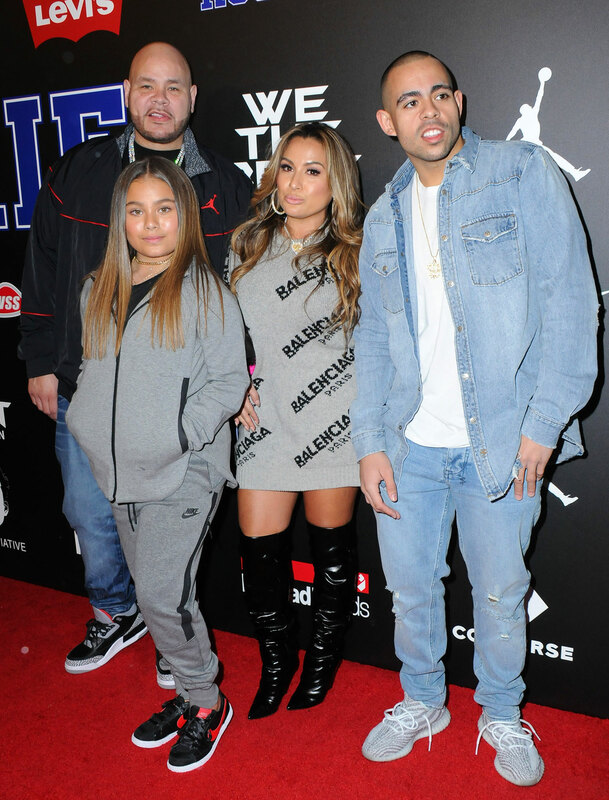 Host Fat Joe, a proud father of three whose daughter Azariah hit the runway for the evening’s style showcase. The show benefited the Asahd Khaled Initiative, a charity named for DJ Khaled‘s 15-month-old son dedicated to helping inner-city youth and underprivileged individuals. “She’s born for this. She loves it,” the actor and rapper, 47, told PEOPLE of Azariah, saying that she’s “super into” fashion and revealing that his nephews and nieces were also participating in the show. Black Eyed Peas rapper Taboo was also in attendance with his wife Jaymie Dizon and children Journey Jameson, 6½, Jimmy Jalen, 8½, and Jett, 2 next week, who all participated in the show. Khaled, 42, fiancé Nicole Tuck and their son Asahd walked down the runway together — with the father-son duo, of course, sporting matching red-and-black Jordan outfits. Exes Travis Barker and Shanna Moakler sat together to watch daughter Alabama Luella, 12, and son Landon Asher, 14, take the stage, smiling while grabbing photos and videos on their phones. “I can’t say I’ve ever been on a catwalk or walked like that before, so yeah, I just let them do their thing,” the 42-year-old Blink-182 drummer told PEOPLE with a laugh. Also in attendance at the event were Eric Winter and Roselyn Sanchez with daughter Sebella “Sebi” Rose, 6, Mario Lopez with son Dominic Luciano, 4, and daughter Gia Francesca, 7, and Khadijah Haqq McCray with sister Malika Haqq and the former’s children Celine Amelia, 4 this month, Christian Louis, 7, and Bobby Jr., 14 this month. And little Jolie Rae — the 2-year-old daughter of Jana Kramer — walked the runway alongside her mama, who adorably carried the little girl down.